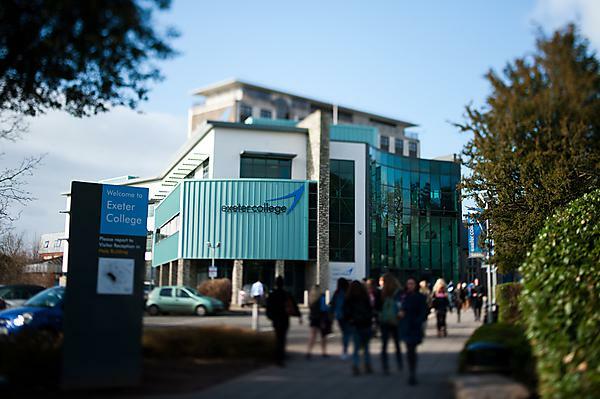 And, with a reputation for academic excellence (we were graded ‘outstanding’ in all areas in our January 2014 Ofsted inspection), we like to provide high quality teaching and resources in a vibrant, student-friendly city. Small class sizes, individual support, flexible studying and a comprehensive tutorial system are what we’re all about. You’ll have advice and guidance from a dedicated higher education adviser. Plus a fully equipped study area exclusively for HE students. We’re always investing in high quality facilities, too. You’ll find a purpose-built drama theatre, a fully fitted gym, an HD TV studio, a brand new photography studio and dark room facilities and, yes, award winning Learning Resource Centres amongst them. Why not visit the Exeter College website to find out more?